Asgardarchaeota, a phylum-level division within the Archaea domain of life, comprises the closest extant relatives of the eukaryotes (discovered to date). Known only from metagenomics-based reconstructions, the members of this clade are found to harbour the most extensive repertoire of eukaryotic specific genes found in prokaryotes, and are expected to shed light on the elusive archaea-to-eukaryote transition. The scarceness of genomic data has precluded previous attempts to fully resolve the evolutionary history of the group, as well as to untangle the metabolic underpinnings of the individual lineages. In October 2017 Paul Bulzu, together with a team of Romanian researchers, went to sample organic-rich sediments (known as sapropels) from two saline lakes located in the south-east part of the country. The team aimed at collecting samples for an exploratory study on the microbial communities harboured by these saline ecosystems. The original plan was to sample sediments from Tekirghiol Lake (at a depth of 9 m). However, gale force winds and a broken pier rendered the manipulation of the sampling boat impossible (due to imminent capsizing). However, having come rather far (nearly 700 km) and as fast as the serpentine mountain roads permitted (the sampling vehicle was driven by the experienced geographer Mircea Alexe), the team decided the sample the shallow, light exposed sediments instead. 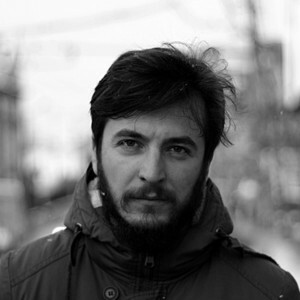 This decision, approved by the entire sampling crew in an overall reluctance to return empty handed to the PI (Horia Banciu, who was anxiously waiting in Cluj-Napoca), turned out to be extremely fortunate and returned a rich haul of Asgardarchaeota genomes. 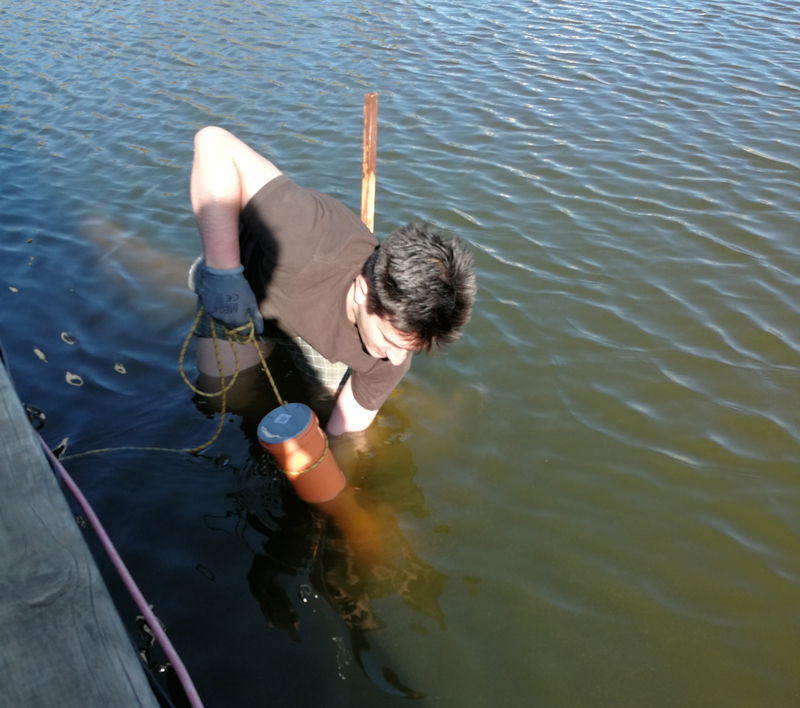 The “OK for sampling” decision was highly appreciated by the team’s environmental microbiologist (the nearly but not quite retired Vasile Muntean), who has a reputation of soaking at first opportunity in shallow sediments and Tekighiol Lake (known for their healing properties). Spurred on thus, the PhD student (Paul Bulzu) leaped in with the custom sediment corer (see picture below). As one of the objectives of the study was to perform genome-resolved metagenomics, Paul Bulzu went for a research stay in Budweis (Czech Republic) at the Laboratory of Microbial Ecology and Evolution (Institute of Hydrobiology, Biology Center CAS). Here, together with Stefan Andrei, realised that the sequenced DNA samples contained Asgardarchaeota taxonomic signal. They understood that the presence of this archaeal lineage in shallow sediments could have important implications for the radiation of the group, and presented their preliminary results to Rohit Ghai (team leader) who encouraged them to pursue the subject. After countless discussions and large beers (both dark and light, Budweis being a particularly good place for these type of endeavours), the taxonomic signal transformed itself into a full-fledged study and the core team (i.e. Paul B., Stefan A. and Rohit G.) snowballed into an international cooperation (Czech Republic, Romania, Switzerland, Israel and Japan). Recent findings reporting the presence of the novel heliorhodopsins in monoderms encouraged the team to perform a dedicated screening in all available Asgardarchaeota MAGs. By this approach, we managed to identify two heliorhodopsins, a type-1 proton pumping rhodopsin and, surprisingly, sequences of previously unknown rhodopsins that organized into a monophyletic clade. Given both their intermediate phylogenetic position between heliorhodopsins and type-1 proton pumping rhodopsins and the presence of features found in both, they received the name schizorhodopsins (schizo, ‘split’, plus ‘rhodopsin’). Their function as yet remains unknown. While the phylogenetic analyses propose Heimdallarchaeia (one of the Asgardarchaeota lineages) as the closest lineage to eukaryotes to date, the performed metabolic reconstructions highlighted a mixotrophic lifestyle with metabolic networks suggestive of aerobiosis which is in contrast to what is known yet about other Asgardarchaeota. Furthermore, Heimdallarchaeia was found to harbour the kynurenine pathway, previously missing in the whole Archaea domain of life, although hypothesized to have been present in the last eukaryotic common ancestor. By corroborating the presence of oxygen-dependent processes with the phylogenomic position of Heimdallarchaeia, the authors concluded that both the archaeal and bacterial eukaryotic ancestors may have relied on an oxygen-dependent metabolism.